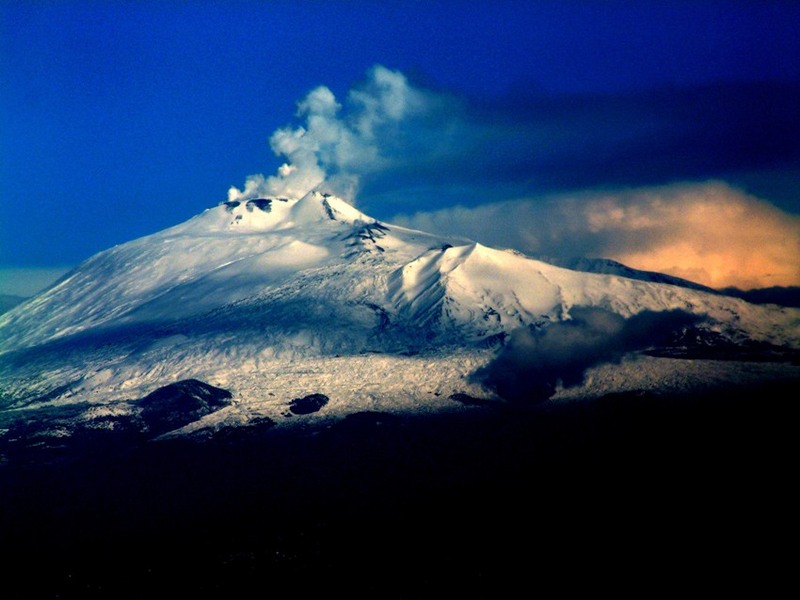 In the province of Catania, in the island of Sicily, there is Europe’s most active volcano: Etna. It is the biggest volcano in the world and a Heritage site of Unesco, visited by thousands of tourists every year. This volcano is an important centre for international researches in the fields of volcanology and geology because it is full of craters and caverns. Its eruptions have modified the Mediterranean landscape near the volcano and since 1987 this area is protected by the Etna Natural Park. There is a big basin on the volcano called the Valle del Bove and a perennial snowfield called the Grotta del Gelo. Around the volcano there is a railway that starts from Catania and arrives in Riposto, a city near Catania. Vulcano: an opening on the surface of the earth which erupts lava, ash and hot gases. Vulcanologia: the science which studies volcanoes and its phenomena. The name of many other sciences in Italian ends in -logia, for instance “biologia”, biology.